Happy Labor Day to Clay Aiken and to all his fans! Labor Day is more than just a day off from school and work. It’s a great time to think about the history of the national holiday and its importance in American history. 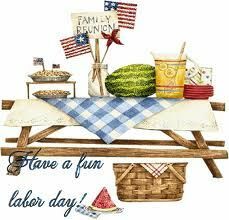 Not only is it a day to enjoy picnics, festivals and barbecues; it’s a national dedication to the social and economic achievements of American workers. President Grover Cleveland declared Labor Day to be the first Monday of September. 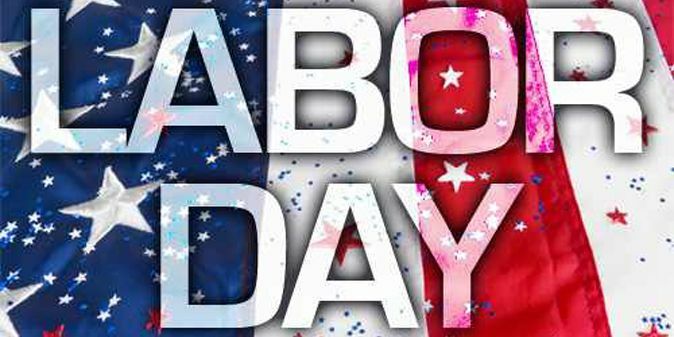 Labor Day was first observed on September 5th, 1882. Labor Day is celebrated in Canada as well as the United States. Oregon was the first state to declare Labor Day as law. The first Labor Day was celebrated in New York City. 10,000 workers took an unpaid holiday to march in the first Labor Day parade. Labor Day is the third most popular day for grilling. Labor Day is the official end to hot dog season? In Nome, Alaska, you can enjoy the annual Great Bathtub Race on Labor Day. Four contestants push bathtubs with wheels and filled with water carrying a fifth team member. The annual Snake River Duck Race is another spectacular event you will not want to miss. Here you will see thousands of plastic ducks arriving on the river after moving through miles of twists and turns. “No white after Labor Day” was the old-fashioned style rule. Today’s fashion rules now shy away from this outdated policy. One of the traditions of Labor Day used to be the annual Jerry Lewis MDA Telethon. The star-studded variety show would last almost 24 hours. It entertained, informed and more importantly, raised funds for MDA. This year, the show is renamed “MDA Show of Strength” and was pre-produced and taped. It was a 3 hour program on Sunday. There was no traditional tote board. It will be interesting to see how much money is raised for MDA. Lewis was MDA national chairman from the early 1950s to 2011, and is credited with raising more than $1.6 billion over the years. He was nominated in 1977 for a Nobel Peace Prize for his work with the telethon and muscular dystrophy relief. 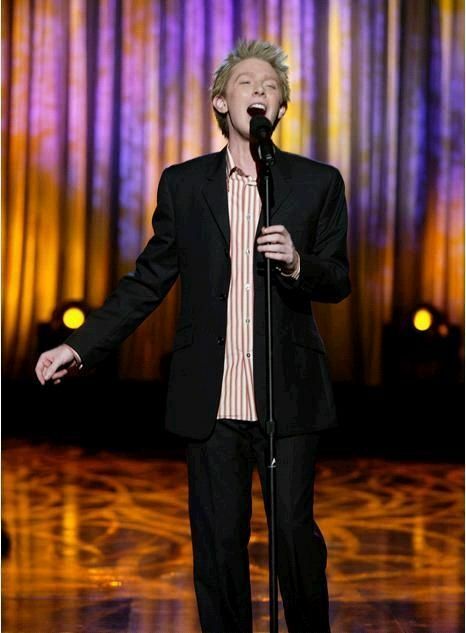 In 2003, Clay Aiken was a guest on the MDA telethon. Clay sang “Bridge Over Troubled Water” and received glowing comments from Jerry Lewis. Jerry announced to the audience that Clay Aiken fans donated more than $30,000 when they learned that Clay would be on the show. The following video shows Clay’s performance and the wonderful praise he received from Jerry Lewis. I actually JUST MISSED his performance live on Jerry's show. He had just finished and was walking over to talk to Jerry. I was so mad! However, the Clack goddesses pulled it from the tv and shared it with all of us who missed it! Unfortunately I am going to be at work today, but I do have the next 4 days off, whoo hoo! Happy Labor Day everybody! Wonder what Clay is doing today??? but I thought it was great they used it again that year!!! Does anyone else remember seeing it again? We had a very nice time at the "Melon Festival" yesterday. Hope all had some sort of happy celebration – including Clay and you Musicfan! Happy Labor Day everyone. Thanks for the wonderful video. I love Clay singing BOTW. Wonderful video, I've watched it a few times. You can tell that his fans truly adore him and so do I, he's such a genuine person and so lovable, I'm proud to be a fan of his. Love you Clay. Thanks Musicfan. Clay is such a beautiful person. He is all heart. Happy Labor Day to everyone. I kind of miss those telethons with Jerry Lewis and the Gang. Will be anxious to see how much money they raise this year. Thanks for that video. I always love to see him sing BOTW. He does an awesome job on it. Relax and enjoy your day off. I missed seeing Clay's performance live, but I love to watch this youtube version. I clicked on another song behind BOTW and there was Clay singing You're Still the One from 1999…and he had the shirt "tug" going way back then! Happy Labor Day. Hoping Clay will show up in Charlotte. Loved this videowith Jerry Lewis. Jerry had already met a zillion famous people and he recognized a winner when he saw one.we should have a telathon for NIH. Love you 4ever Clay! Happy Labor Day everyone!!! Great video musicfan. I am so glad I checked in here today…(Well I do most everyday) But today I got to watch this video that I don't remember watching before. What a Voice he has especially on this song….I loved him on AI before he sing BOTW, but when he sung it I was even more in love with his voice than before…..it was MAGIC. Believe it or not I taped this performance (Then again who didn't?! :D) on VHS, and after eight years I still have NOT covered it up! He was just beautiful back then (Not that's he's not beautiful now), with the spiky blond hair, & the green eyes that can melt anybody's heart. It certainly did mine back in the day! Hope everyone, including Clay, is having a wonderful Labor Day! I certainly have! Watching the MDA telethon was a tradition in our household so obviously I was very happy when Clay was invited to perform. I still remember the glowing comments Jerry gave Clay. It was great seeing that performance again. Thank you for this walk down memory lane! I was so excited Clay was on the marathon and I felt Jerry was so sincere with his praise for Clay. I've been contributing to MDA ever since I was a kid and threw my first backyard carnival. Sometimes we would switch it up with a haunted house but we did something every year. Clay sure looked good in this video. Thank you again! Error: Error validating access token: Session has expired on Tuesday, 21-Aug-18 16:13:01 PDT. The current time is Friday, 26-Apr-19 02:03:29 PDT.